Main Features • Tape drive • LTO Ultrium 100 GB / 200 GB • SCSI • LVD As the entry point for HP´s Ultrium tape drive family the HPE StorageWorks Ultrium 215 offers superdrive capacity in a compact half-height form factor that makes it easy to integrate into workstations and servers. An ideal solution for network backup where high capacity and low cost of ownership are critical the Ultrium 215 stores 200 GB of compressed data on a single tape at up to 54GB per hour. Despite its low cost the Ultrium 215´s rugged design delivers excellent reliability even at 100% duty cycles and includes many of the advanced features of its bigger siblings. The drive employs data rate matching to adjust to the speed of the host reducing wear and tear on both drive and media and increasing performance particularly on slower systems. HPE One-Button Disaster Recovery takes the worry out of disaster planning - making the Ultrium 215 especially suitable for environments with limited IT support. Whether it´s for a single server or just one part of a backup environment that includes high-performance Ultrium drives the Ultrium 215 is the ideal match for midrange servers. 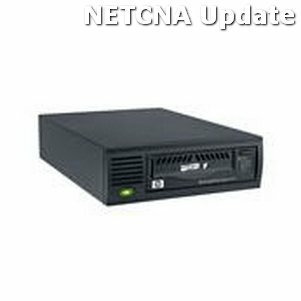 Main Features • Tape drive • LTO Ultrium 100 GB / 200 GB • SCSI • LVD As the entry point for HP´s Ultrium tape drive family the HPE StorageWorks Ultrium 215 offers superdrive capacity in a compact half-height form factor that makes it easy to integrate into workstations and servers. An ideal solution for network backup where high capacity and low cost of ownership are critical the Ultrium 215 stores 200 GB of compressed data on a single tape at up to 54GB per hour.